I spent a couple hours at Montrose this morning, September 3. The highlight for me, hands down, was the cooperative juvenile Buff-breasted Sandpiper on the beach. I haven’t seen a Buffy at Montrose in a few years, and I hadn’t seen one yet this fall, so I was fairly excited (thanks for the text, Fran M). The bird was working the north side of the fluddle with a few other shorebirds, including a young Stilt Sandpiper, another good shorebird for Montrose. My passerine highlight was a Connecticut Warbler in the dune willows. These willows have proven, both spring and fall, to be an excellent migrant trap. I ended up with “only” 39 species, but when 2 of those are Buff-breasted Sandpiper and Connecticut Warbler you shut up and count your blessings. 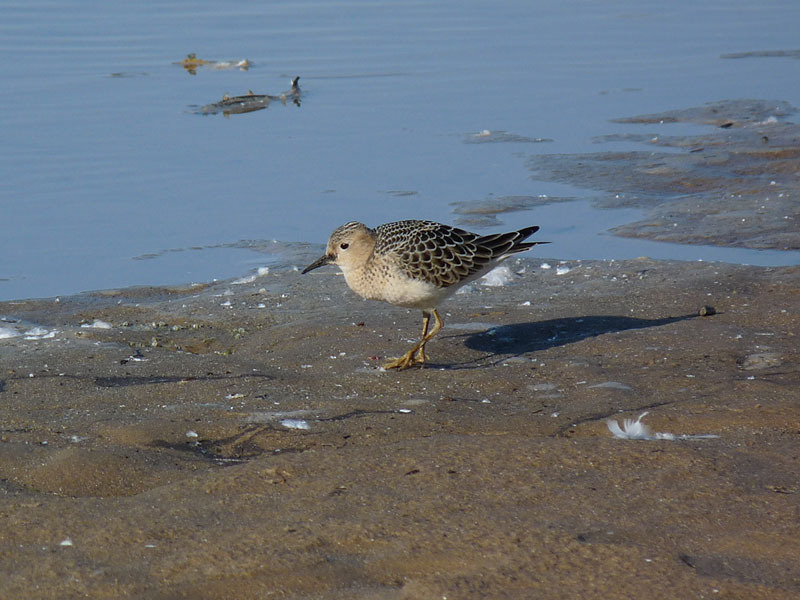 This entry was posted in Fall Bird Reports and tagged Buff-breasted Sandpiper, Connecticut Warbler, Shorebirds, Warblers on September 3, 2017 by rhughes.